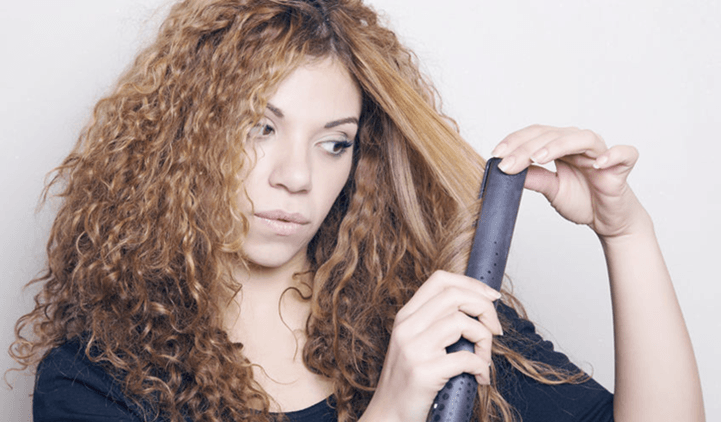 Having curly or frizzy hair can be a problem for most ladies. Unruly hair is difficult to manage and needs a lot of combing and blow-drying, which could lead to damaged hair cuticles. Nevertheless, women would love to have pin-straight strands because that can stay manageable for hours. 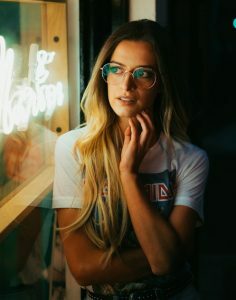 However, hair-straightening treatments at the salon could be pricey, and the cheaper alternative would be to use a hair straightener instead. The Royale Hair Straightener will answer your wayward strand woes and issues. It comes in two variants and colors: hot pink and black. The Royale Professional Straightener Iron in Hot Pink is one of the customers’ favorites, given its funky color and superior performance. The classic styler flat iron has 100% ceramic plates that preserve moisture while radiating heat, thereby keeping your hair from getting dry and damaged. The classic hot pink variant has been given an average rating of 4.1 out of 5 stars on Amazon and has proven its capacity to straighten even the most stubborn strands. It also weighs 2.4 lbs., so it’s easy to carry with you everywhere. This tool is a revolutionary product. The solid ceramic plates make your straight in minutes — about 20 or less — and voilà! You get your much-coveted straight strands. The Royale Hair Straightener UK product is also popular among women because it can be used to curl their hair, too. The product is a real time-saver since you don’t have to bring two different tools should the occasion ask for it. Similarly, you have a lot of options to style your hair using only just one tool. 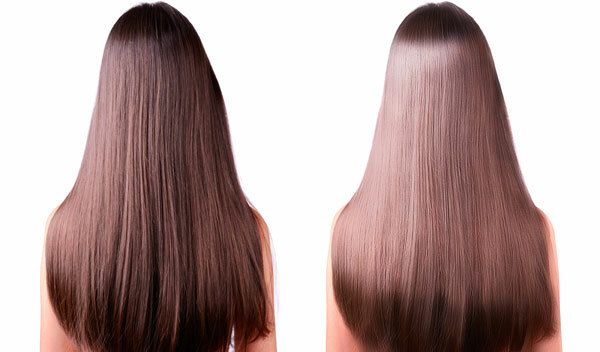 Loyal and new customers have given raving Royale Hair Straightener reviews. Most of the comments were about how fast they were able to curl or straighten their hair, and how affordable the product is. They swear by its capacity to lock in moisture and keep it styled all day. The iron can be used on wet hair, contrary to some claims, and your hair would still have the same result: sleek, shiny, and styled to perfection. With wet hair, though, it could take more minutes of styling. The product also works on dual voltage (110 – 240V). Another product from Royale is making waves in the beauty industry and is receiving raving reviews from clients who have also tried the classic hot pink hair iron. 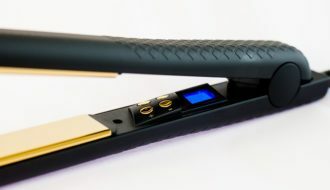 The New Royale Black 1.5″ Nano Ceramic Ionic Flat Iron uses far infrared technology to straighten your hair, and also comes with an enhanced ionic field technology that seals in your hair’s natural oils — something that has never been done by other hair straighteners in the market. 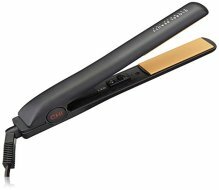 This Royale Professional Straightener Iron is coated with nano silver ceramic plates that can heat up from 80 degrees up to 200 degrees Celsius. Despite this heating technology, it does not damage your hair. On the contrary, it will moisturize your strands and will keep your locks safe from humidity, making your flat hair last for hours. It weighs 2.1 lbs., a little lighter than the classic pink hair iron, and generally gets a higher rating on Amazon at 4.2 out of 5 stars. The tool also ranks 62nd in beauty and accessories. What sets this product apart from other hair straighteners is that its ceramic plates inhibit bacteria growth, which makes it safe for regular use. Though it is a regular-sized hair straightener, it is not a nuisance to bring with you anywhere. It can be stored in your tote bag and will not take up so much space. The black Royale Professional Straightener Iron cannot be used on wet hair, though, but it does deliver what it promises. Simply divide your hair into sections and use the straightening iron to flatten the strands. It will transform even the coarsest strands and make them smooth and straight. Because it doesn’t cost much, getting this wonderful product is already a good deal. In malls, most hair straighteners cost a lot. 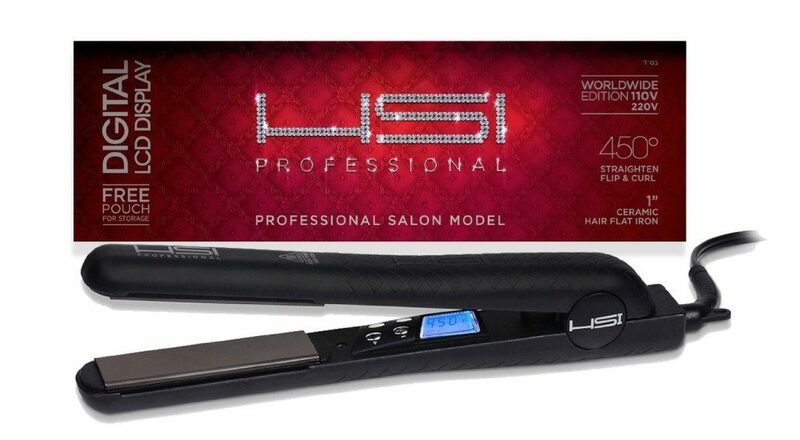 This tool beats even the expensive hair rebonding and straightening treatments in salons. When using it, make sure you set the heating temperature to your preference. The ceramic plates can get very hot, so be careful when you use it. It would be better to start off at a low temperature and then gradually increase the temperature when necessary. Customers are also very happy with the Black Nano variant, as it also lasts for years. You wouldn’t even have to use the 5-year warranty that comes with it. The straightening iron is made of the finest and long-lasting materials so you wouldn’t have to buy another iron. Royale professional straightener iron is one such products in the market that is now coming up as the finest kind of choice for women so that they can easily get their hair straightened. This is the brand that has always been recognized for the finest quality that thay provide with the products they offer. This is the product that has come with so many useful features and practical things related with it which makes it really a great choice for you. There are so many things that make this product really great and it do not rely on the regulation of the company for popularity as it has got many great capabilities. One of the major features that is attractive is the ionic field technology which is enhanced so that the oils can be sealed in such a way that it was not possible with the preview form. The infrared technology and also the nano silver – plates from other things related with it which can enable really efficient use of the device. It is good for you to know more about the product so that can think about using it in the future for your straightening needs. Let’s start analysing the product from outer covering. The design of the product is sleek and it makes you feel that is really good. The device is available in black color with great finish but the major part of magic comes with the variable technology which is residing in it. This can enable the product to be managed in such a way that it can be used the various temperatures as per your need. 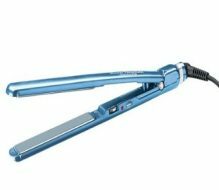 This is a kind of feature that you cannot get from any other straighteners that are available in the market. This is not the only features that makes the product stay out of box. When it comes to this product it is so a significant fator to consider that is designed in such a way for meeting the various hair styles and also different types of hair. It is also the kind of hair straightener available in the market that can prevent the damaged to the hair that can be occurred due to the excessive amount of heat to which the hair is exposed. This is also a feature that can me available only in very few amount of the hair product that you get from the market. The product also comes with plates that are 100 percentage solid ceramics. These plates got the capability of generating the technology of infrared that can catually act in the form of sealing agent. This can make the cuticles sealed with the natural moisture. As like many other kinds of the straightners that are available from royale, it is also the product that can also work in the form of natural moisturizer so that hair is kept safe without going frizzy or puffy. These are the stuffs which can really do great wonders for you in many such cases. The royale straighteners iron comes with also the feature of the design that is lightweight. It is something that much lighter for holding but it can also be considered as a product that is really durable. Durability that you get with this product is not something that you can expect by considering the appearance. Another major thing one can easily notice from it is that can withstand usage for hours and will not even break down. This is also a product that comes with good warranty which you can consider for your need. There are so many advantages that you get by making use of the product. Some of the major advantages you can get from this product include the follow. This if the hair straightner which can easily make your hair soft, silky and also shiny. It can really work in such a way that people with frizzy and coarse hair also may feel really good. The functionality of the hair straighter do not change even when the temperature at which you are usung the product is also changed. This is the product that is really much easier for you to use. There is no need for you to worry and the ease of use make you feel like using the product in perfect manner. The product also has got a warranty for lifetime which can make you really tension free about the product and also can make you choose the product. It makes is possible for you to get the thing replaced if it goes through any kind of issue. Thre are so many possitive things that have got included in the product so that it actually do not fry your air. This is the product that can easily a very enjoyable work. It helps you do all the styling you want in less time. The features included in it are accurately placed so that it really is easier for getting the results that you are looking for. The straighteners is designed in such a way that it can easily create very few split ends eeven though you are straightening the hair more frequently. The caramic is also a great fator that ensures that your hair is not heated more than any other kind of the products that are available in the market. Royale professional hair straightener is the one that has got so many advantaged and it do have some cons which are not hard for you to deal with. There are chances for you to find some burnt smell on the hair when you are usung it for first few times. If your air really very thick then the straightener does take so much of time in working on it for giving the result that you are expecting. These drawbacks are indeed some things which can be ignored considering the advantages from the product. It is a product highly recommended for you to try with different hair styling. It is a good thing that both the classic hot pink and black hair irons are infused with nanotechnology and 100% ceramic plates that soften your hair quickly and make your locks glossy — which is very much like what you get from salons. Both hair irons have an instructional DVD that helps you with the process of hair straightening. You might need some help, though, for hair sections that you couldn’t reach. The European brand really gives you the royal treatment because the ceramic plates distribute heat evenly across the surface and maintain heat while eliminating spots that could damage your hair. The far infrared heat will also do away with stubborn frizzy hair. Meanwhile, the Brilliance New York also takes pride in its negative ion technology. This means that the plates contain negative ions that stop the growth of fungi in your scalp. Instead of damaging your strands, this product makes them healthier! The water molecules from the negative ions also give your hair volume. 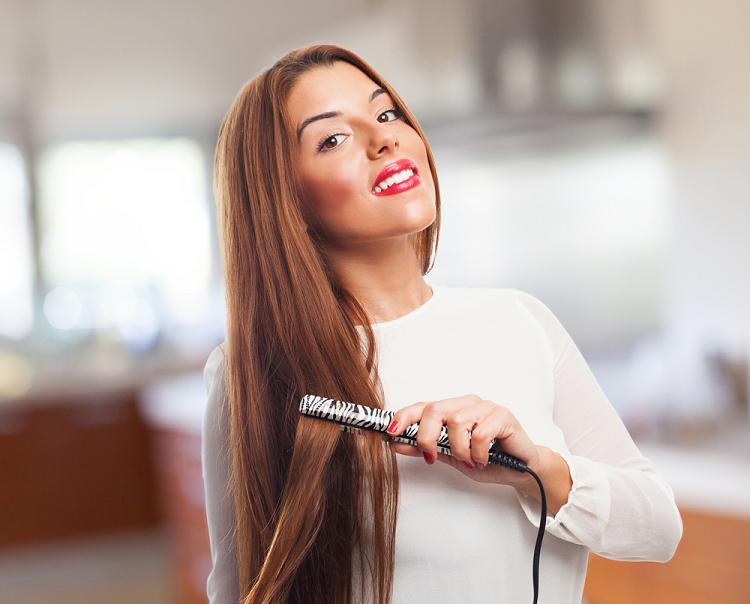 You could say goodbye to limp and dull hair once you use these hair-straightening irons. Far infrared heat, on the other hand, dries your hair from the inside out because of its deep penetrating action. This is the reason that customers still get moisturized hair, which is rare when you use heating and straightening appliances such as blow-dryers and other flat irons. Both hair straighteners are user-friendly, with an adjustable temperature and a quick heating technology that allows them to heat up almost instantly. It also gives you three styling options, whether you want to curl, straighten, or flip your hair. You can use it by yourself and you don’t have to be scared of any accidents, thanks to its sleek design and non-slip grip. You also won’t have to worry about tangling because the flat iron has a cord that swivels up to 360 degrees. Brilliance New York is one of the most trusted brands in the market and is known for using high-quality materials and the most sophisticated and updated technology. With their range of hair straighteners, you wouldn’t have a hard time choosing the product that suits your needs. The black nano ceramic straightener, for instance, could be your ally against humidity and frizz, but unlike other tools, you can get it at a price you can afford. If you’d compare the classic hot pink and the black nano ceramic hair flattening irons to the other competing brands in the market, you are getting a great deal with Brilliance New York. Other brands, though they would heat faster than Royale Hair Straighteners, do not have 100% ceramic plates. This means your hair might get stuck in between the plates as it heats up. There is also a tendency for your strands to get dry. One of the things that you should consider when buying hair straighteners is how it fits your budget, too. 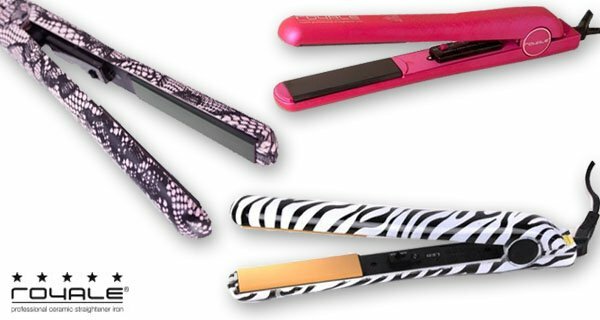 With Royale, you get the same treatment as with other expensive brands, but you don’t have to pay so much for the classic hot pink iron and the black nano ceramic iron. A lot of users like Royale and the brand speaks for itself. With the five-year unconditional warranty, you can be sure that the company wants you to get the best out of your product. Brilliance New York hair straighteners already provide you with all the possible benefits that you could get from a beauty and hair product. 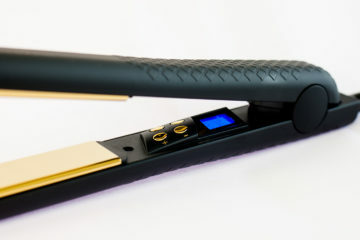 To keep your flat iron last longer, use only the amount of heat that you need for your hair. Despite the far infrared heat technology, too much heat can still damage your hair cuticles. Increase the temperature only when dealing with coarse or thick tresses. Another way to preserve your tool for longer use is to unplug it when you’re not using it. Switch the power off once you’re done styling. Brilliance New York are the best that you could ever find in the market. There may be tough competition out there, but you only need to hear and read the comments of customers to believe how great Brilliance flat irons are. They are budget-friendly but you can be sure of quality output. Why not try this revolutionary product and see the difference for yourself? Hair straightening and curling will always be around. With all those expensive treatments, why waste your money and get your hair damaged in return? It would be best to invest in Brilliance New York and give your tresses the real treatment they deserve.